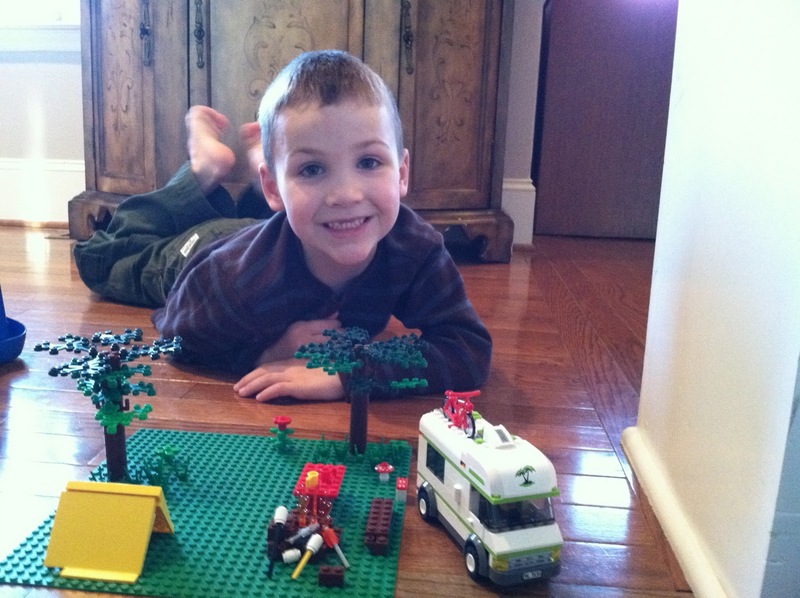 I'm going to take a break from the Honduras posts for today to bring you another Lego creation by Jaden. This little fellow can't get enough. I regret not taking a picture of the zoo that he had up, it was quite cute. 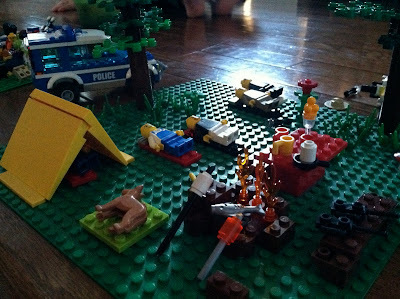 We tore it down and built a campsite. 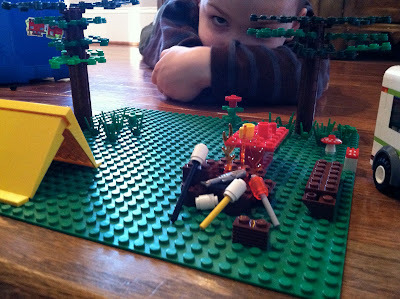 Notice the white "marshmallows" on the black "stick" next to the campfire. Also, skylar came in and found a red "hotdog" and put it on a stick. yes there is a fish on a grill next to campfire and a ranger. 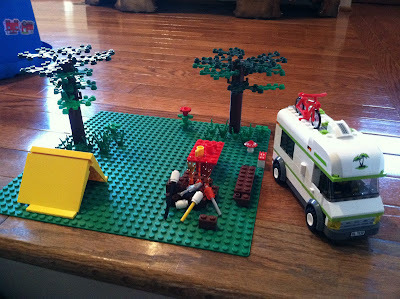 Skylar taught Jaden about rangers and it took him a while not to call them "strangers". Everyone on their sleeping bags. 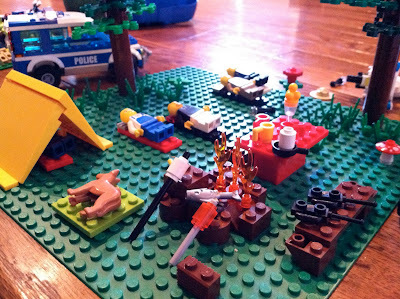 Yes, there had to be police for some sort of rescue mission. 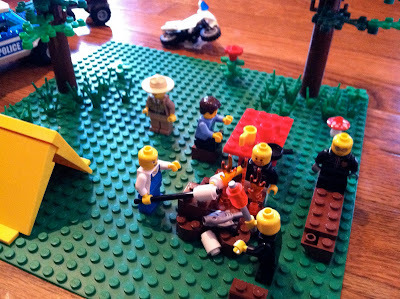 There is no way those lego men could just kick back around that campfire and relax. A couple of times the ranger said, "I'm going to under arrest you". "Wait mom" Jaden turns out the lights and then said, "okay now take the picture, it's dark for them to sleep".